APHC On Tap | Consumer Focused Plumbing And Heating Blog: Is it a smart decision to upgrade our gas and electricity meter? Is it a smart decision to upgrade our gas and electricity meter? Smart meters aren’t compulsory and people can choose not to have one, but the government wants energy suppliers to install smart meters in every home in England, Wales and Scotland by 2020. 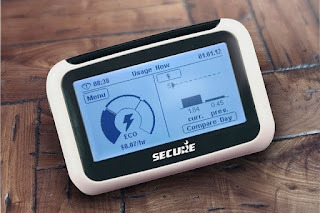 So, just what are smart meters? Smart meters are the next generation of gas and electricity meters and are designed to put us in control of our energy use through the provision of near real time information showing how much energy we are using and how much it is costing us in pounds and pence. This means we can be confident that we're only paying for what we have actually used and we'll always know what to expect in our next bill, so no more nasty surprises. The move towards installing smart meters came from the European Union who asked all member governments to look at smart meters as part of measures to upgrade our energy supply and tackle climate change. After an initial study, the British government decided to adopt smart meters as part of their plan to update our ageing energy system which hadn't kept up to speed with improvements across almost every other area of our lives. Ultimately it is an individual decision, but if you are going to analyse the information and are able to make changes to your energy use then smart meters can save you money and reduce your household emissions. They remove the need for estimated billing so we will only be billed for the energy we actually use, which could help with our household budgeting. They also make it easier for us to switch energy supplier. The only possible negative is around data privacy as energy suppliers will be able to access our energy consumption data. We will have a choice about how our energy consumption data is used and we can opt-out of certain options such as using our data for marketing purposes, but we won’t be able to opt out of data sharing where it is required for billing and other regulated purposes. There are no charges for installation or for the actual smart meter and in-home display. Under current arrangements we pay for the cost of our meter and its maintenance through our energy bills, and this will be the same for smart meters. Ultimately the introduction of smart meters will enable a more efficient, greener, smarter energy system and lay the foundations for smart grids, which are a whole new way of running our energy networks. Smart grids are reportedly going to be much better at integrating green technologies, from electric cars to home rooftop solar panels and heat pumps. They will help us get the most from variable power sources like wind and solar. Currently, nearly five million smart meters have been installed across Great Britain, but how soon you can get one depends on your energy supplier's plans. You should contact your energy supplier for more information on timeframes.